It is the hope of every expectant mother that their baby will be born happy, healthy, and with all of their internal organs in the right spot. Unfortunately, a new report by the Centers for Disease Control and Prevention (CDC) notes how incidents of gastroschisis—a birth defect where the intestines, stomach, or other viscera hang outside the body—has been increasing over the past decade and no one can say why. Surgical repair soon after birth is usually able to place the organs back where they belong, but the damage can already be done by that point. Exposure to amniotic fluid from the uterus can irritate the organs and lead to twisting, swelling, shrinking, or infection that results in persistent digestive problems and sometimes stunted growth. As the CDC report explains, using a measured period of 2006 to 2012, cases of gastroschisis have risen by about 30% compared to the prior decade. The increase was found across all ethnicities, though some felt the effects more strongly than others. One of the more perplexing changes was observed among African-American mothers under age 20. 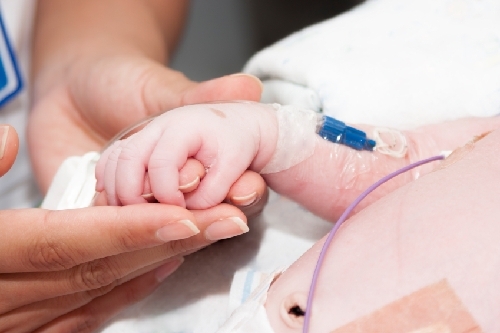 In this group, the number of newborns with gastroschisis went up 263% even though African-American cases remain lower than Caucasian or Hispanic incidences. To help keep these numbers in perspective, it is important to note that there are currently around 2,000 cases of gastroschisis in the U.S. annually, according to the CDC. Although this means the number of incidents is still small overall (there are nearly 4 million live births in the U.S. every year), the CDC findings are concerning because no cause for the increase has been identified. Those behind the CDC report only had access to data relating to the age and ethnicity of the mothers, limiting the number of factors they could compare. What the researchers found was that the increased rate of gastroschisis did not seem to be explainable by demographic changes in ethnicity or maternal age during the observed time periods. Also of concern is that the number of gastroschisis cases appears to be growing internationally as well, suggesting that the cause is going to be something that transcends borders. Although the exact cause of gastroschisis remains unidentified, it is known to be more prevalent in younger mothers. Other theorized links include low body-mass index, smoking or alcohol use during pregnancy, or genetics. “Increasing Prevalence of Gastroschisis — 14 States, 1995–2012,” Centers for Disease Control and Prevention web site, January 21, 2016; http://www.cdc.gov/mmwr/volumes/65/wr/mm6502a2.htm. Kaplan, S., “More Babies Are Being Born with Organs outside Their Bodies, and Experts Have No Idea Why,” Washington Post, January 22, 2016; https://www.washingtonpost.com/news/morning-mix/wp/2016/01/22/more-babies-are-being-born-with-organs-outside-their-bodies-and-experts-have-no-idea-why/.